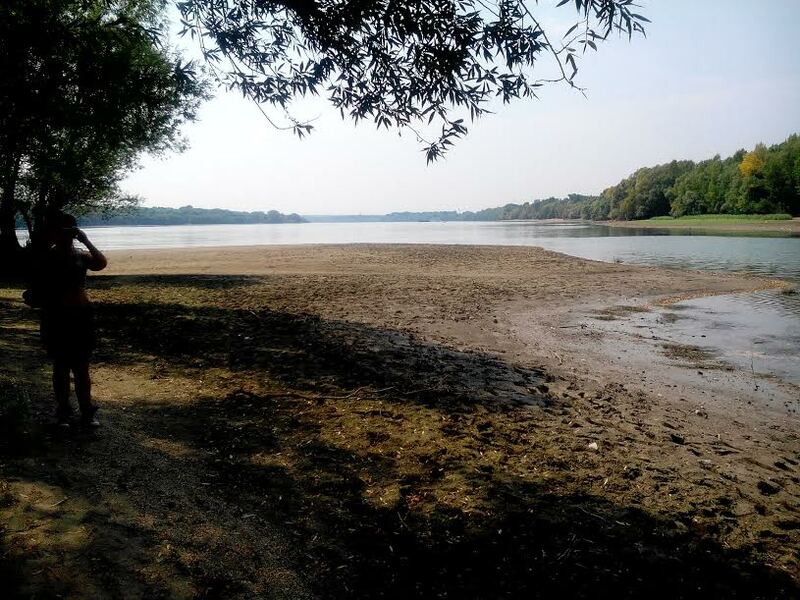 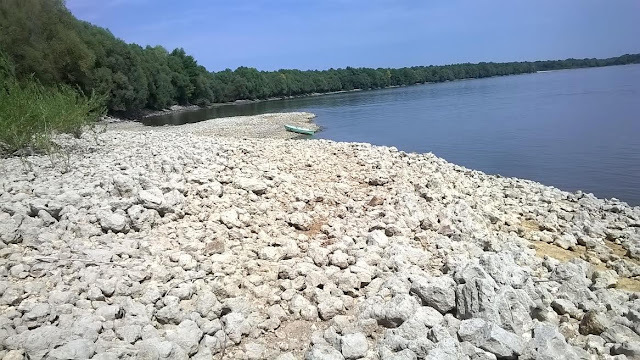 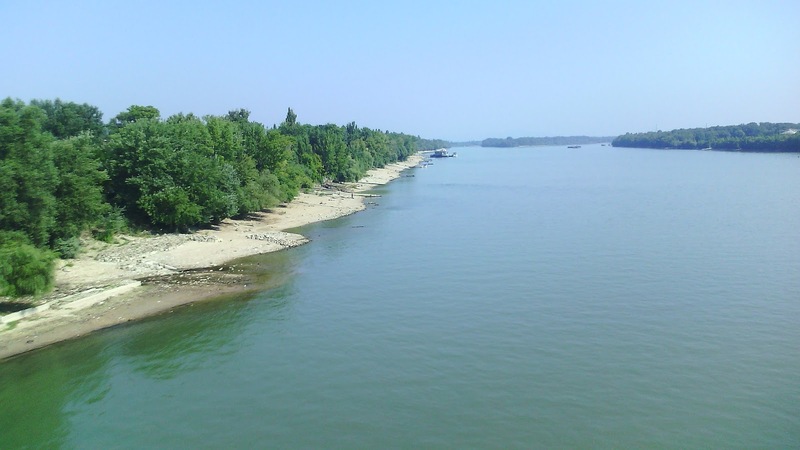 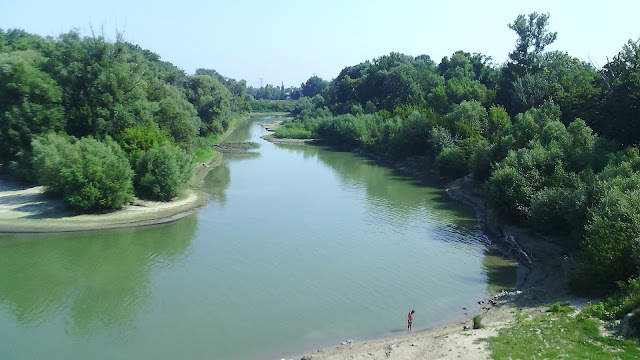 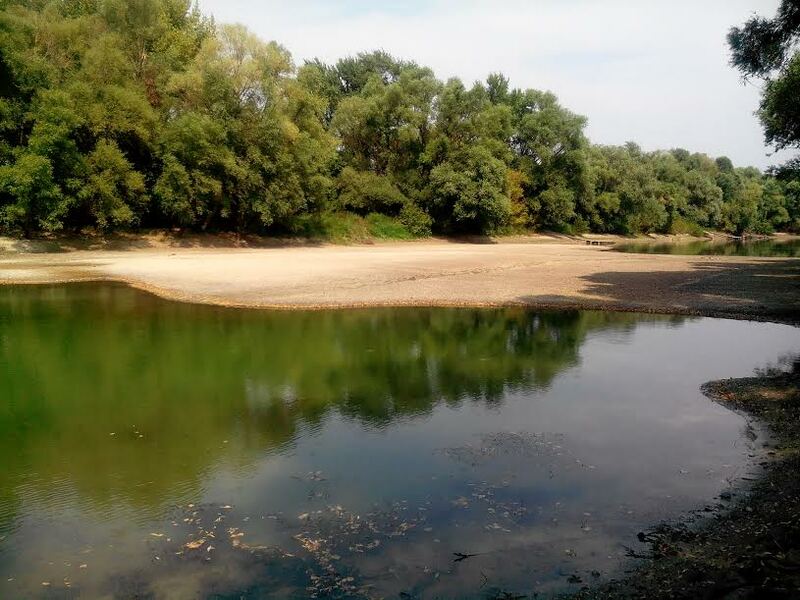 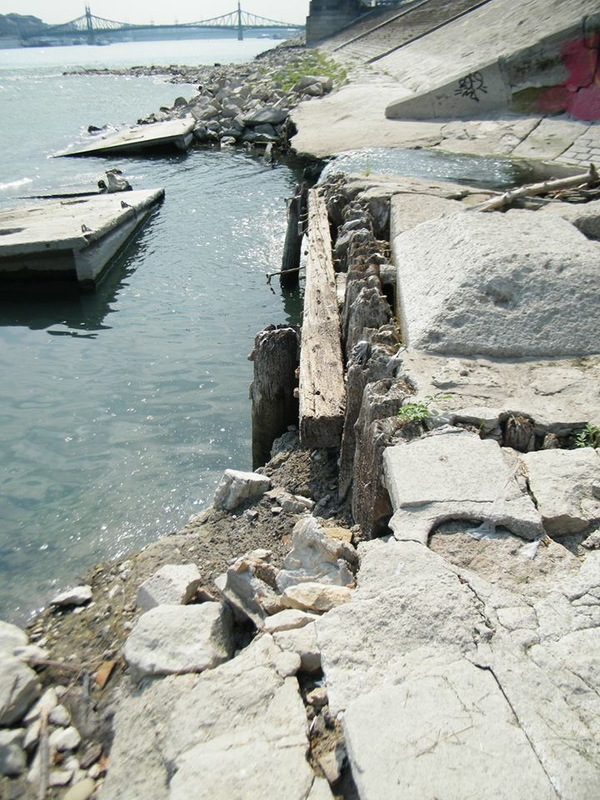 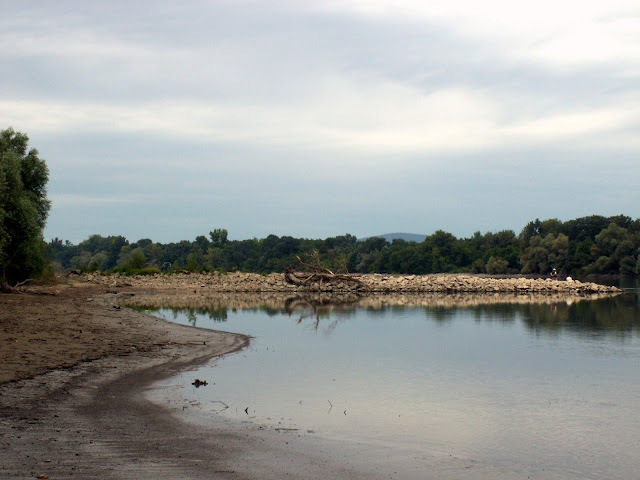 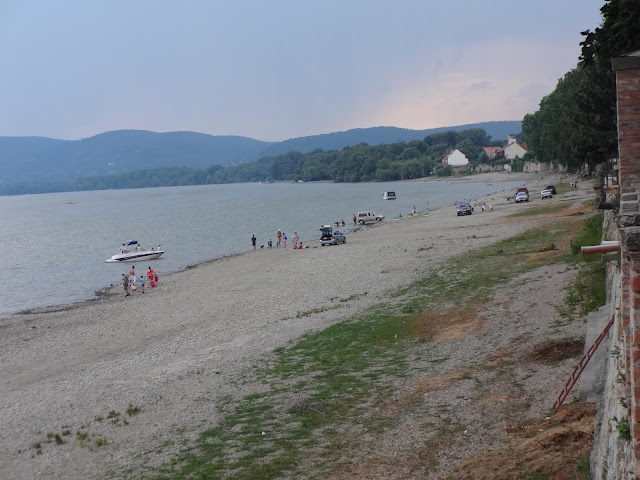 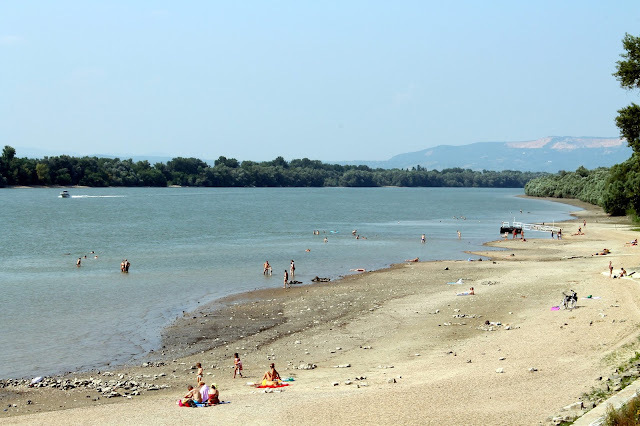 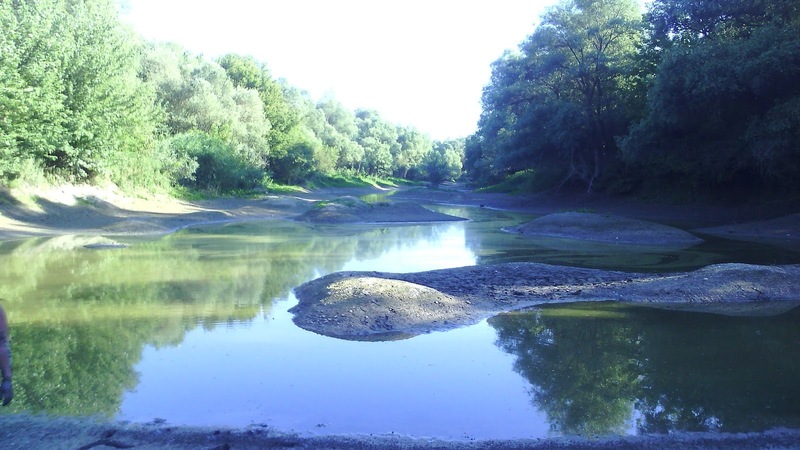 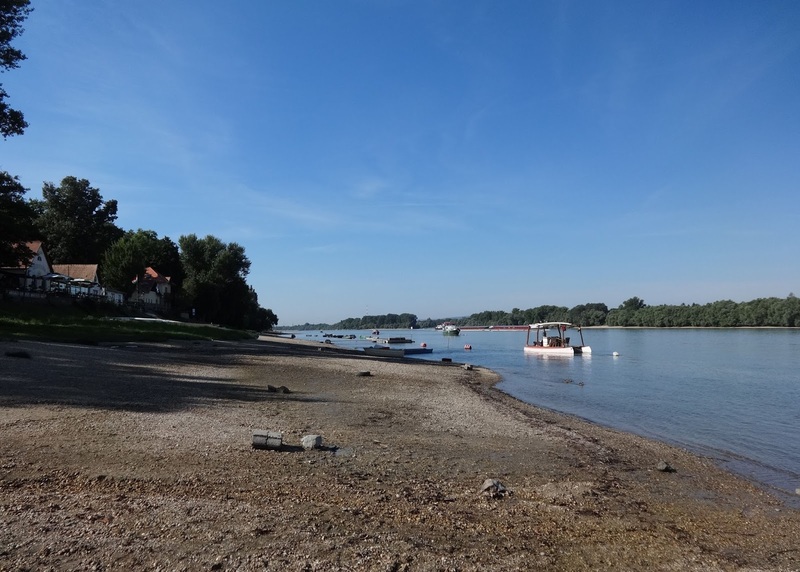 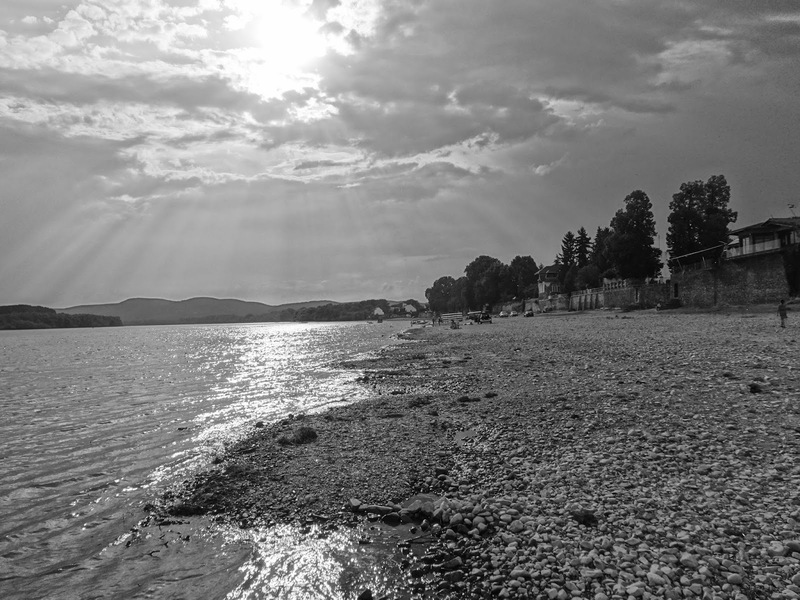 This year's hot summer combined with lack of precipitation have brought extreme low water levels on the Danube river. 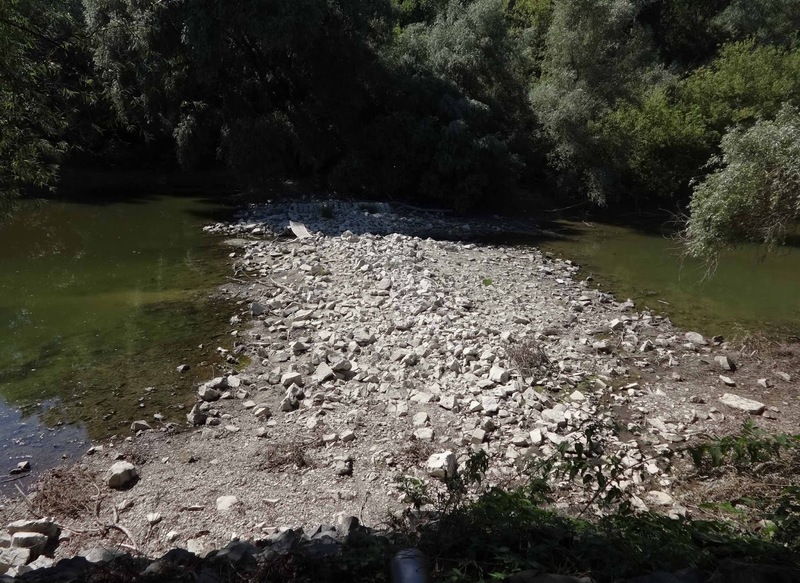 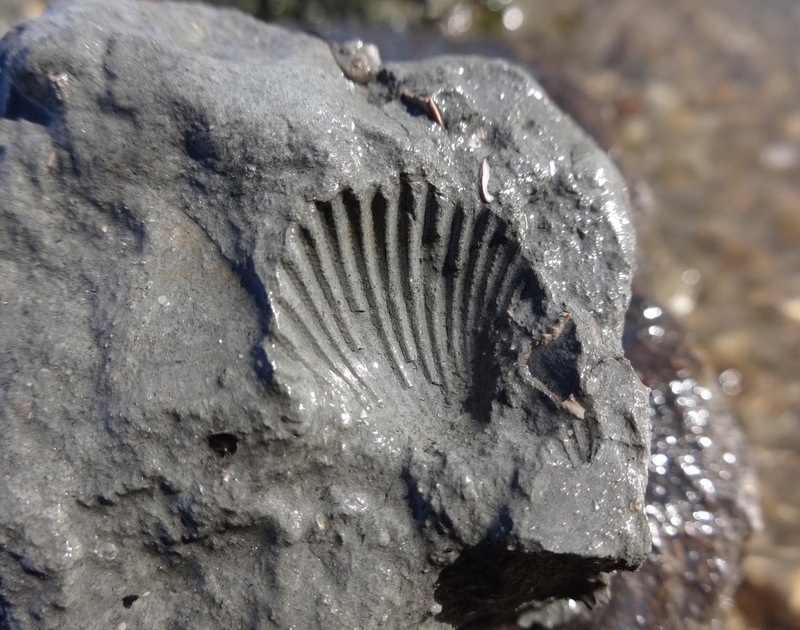 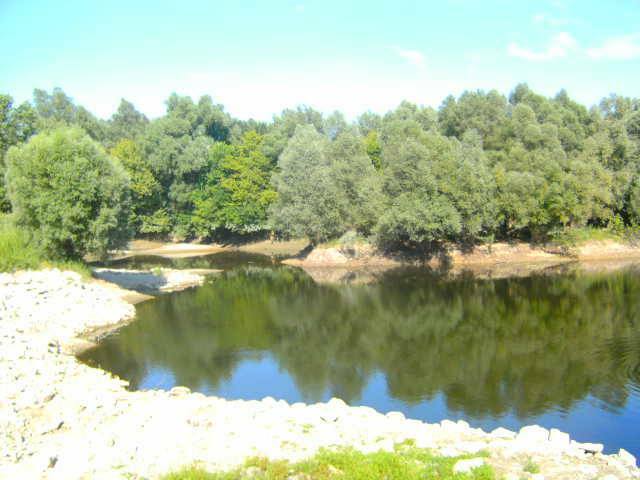 The blog asked its readers to send pictures if they found something interesting emerging from the riverbed, or they only find the landscape different from the usual. 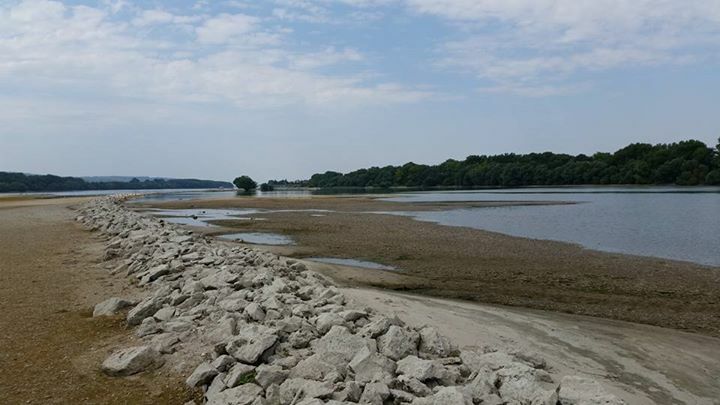 It looks like the low water will last well into autumn and with the drained catchment area we have to prepare for even lower water levels. 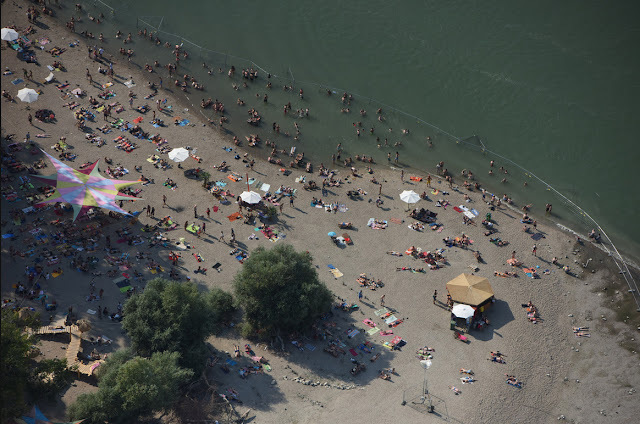 Lowest water level measured at Budapest in 2015. 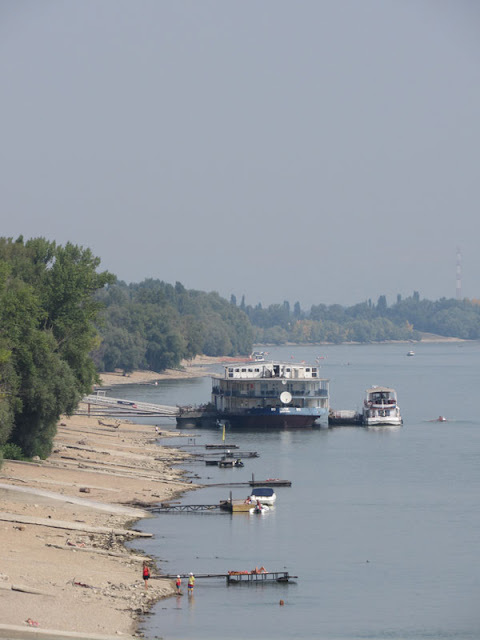 According to the summer forecasts the level of the Danube was far from the lowest value ever measured, but we advised not to leave our camera at home. During September and October the water level fell steadily to the value of 63 cm at Budapest which is only 12 cm above the lowest. But why are we interested in shallow water? 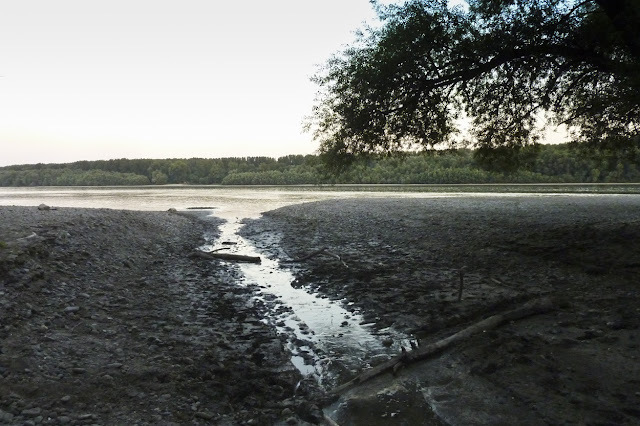 - usually the floods draw more public attention. In times of low water Danubian depths reveals itself. 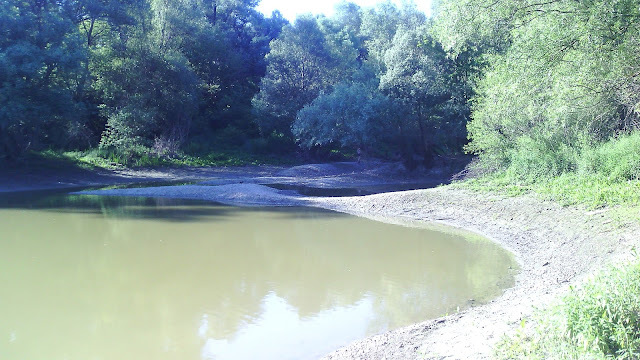 Sand and gravel bars, holes in the riverbed, dykes etc. 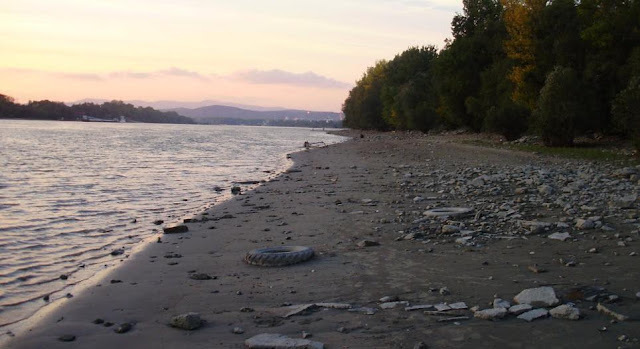 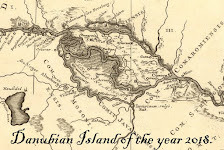 But while walking on the riverbanks you might find wrecks of ships, artifacts sunk long ago. 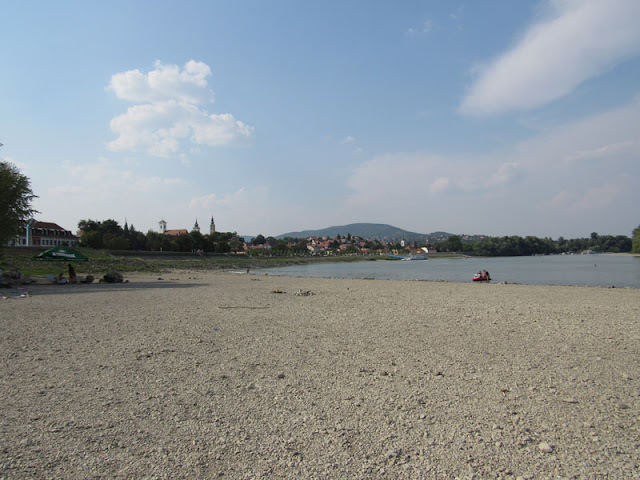 The diving archaeologists are happy, they can work without their work-clothes. 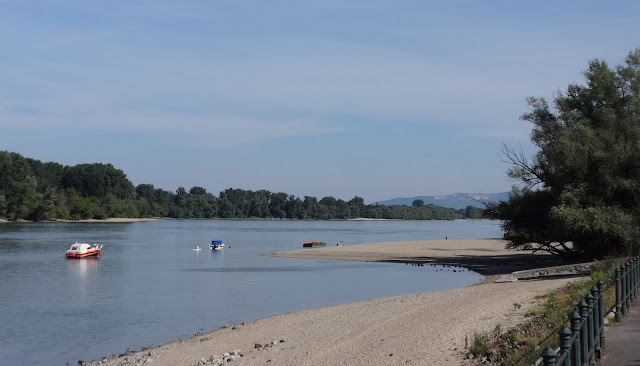 Europe's largest river shows us a different perspective, rather a desert than a river. There are also those who are not quite happy with low water. For example those shipmen who can not work for weeks in this situation. 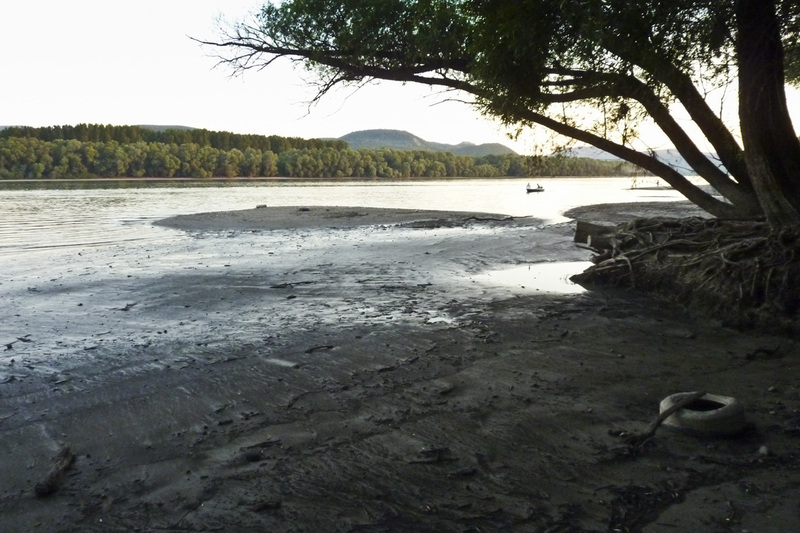 Or the environmentalists who are unable to help when they see tons of dying fish and shell in the drying river arms. So far the lowest value in Budapest ha been observed in 1947, 6th of November. This was 51 cm. 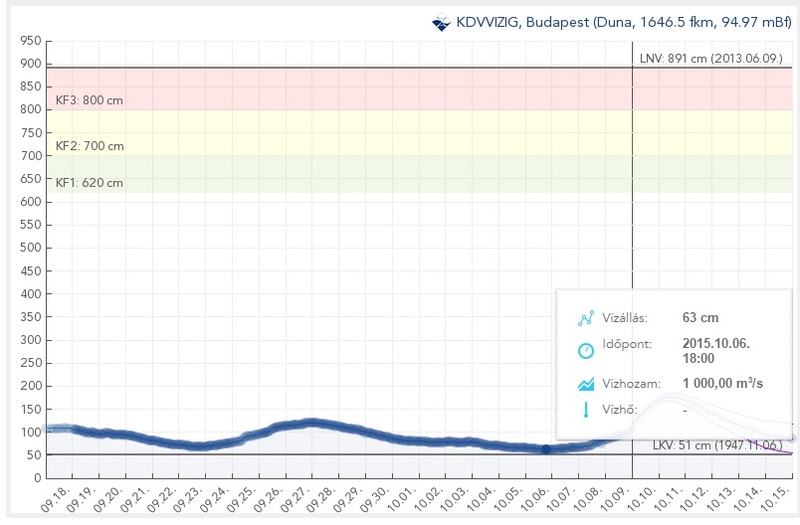 At the Vác gauging station it was -45 cm on the 29th of August. 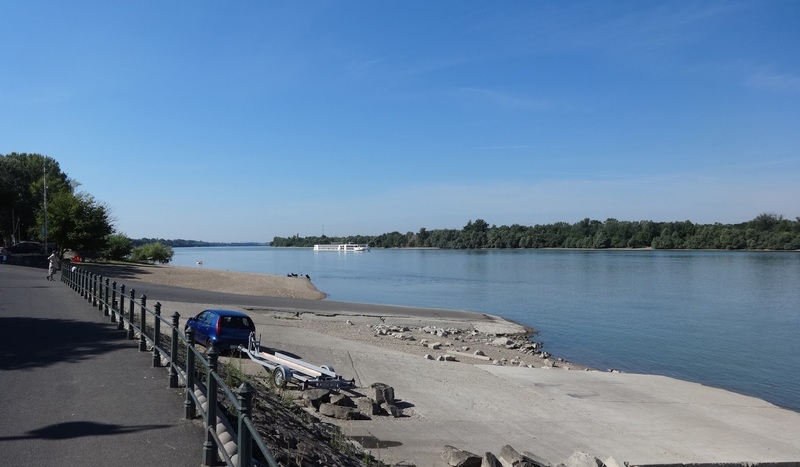 This is not a typo, the water level can go below the lowest point of the gauging station, then they have to extend it downwards. 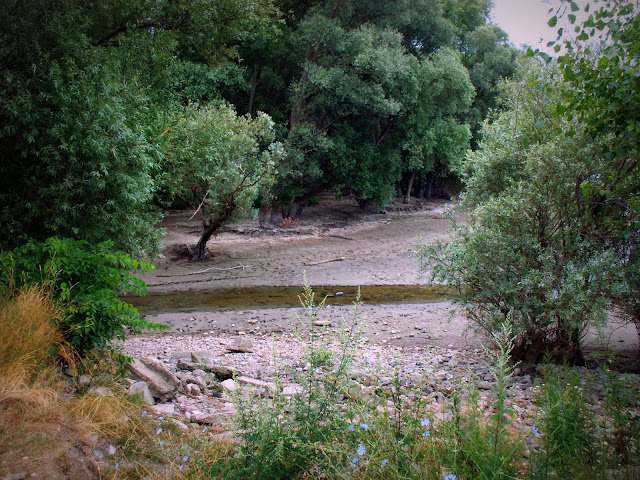 Unfortunately this is not a rare occurrence. 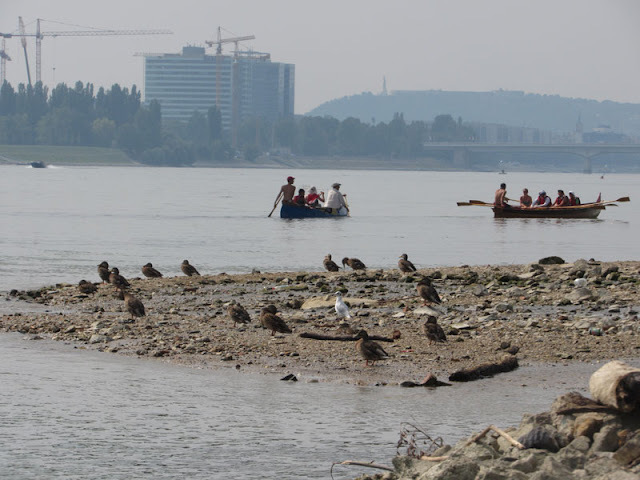 If you happen to wander the banks of the Danube, do not forget to take pictures of the most interesting sights, and please send them (with the place, time and date) to our email address of facebook site. 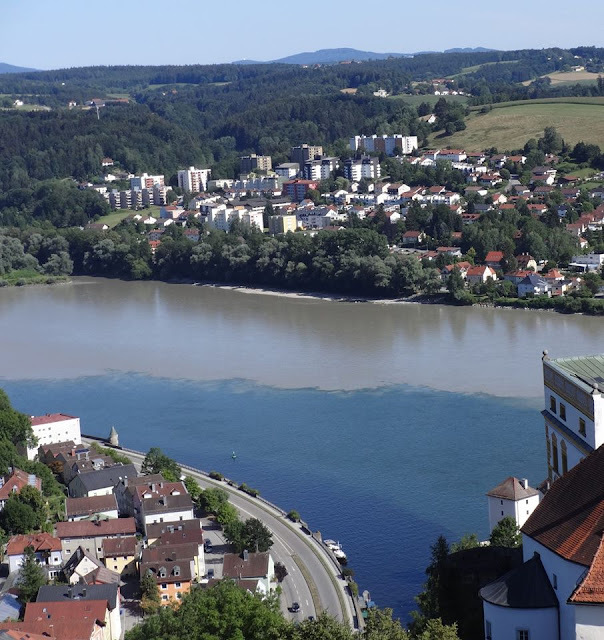 Szilágyi Csilla: Inn, Duna, Ilz - Passau: 2015.07.26. 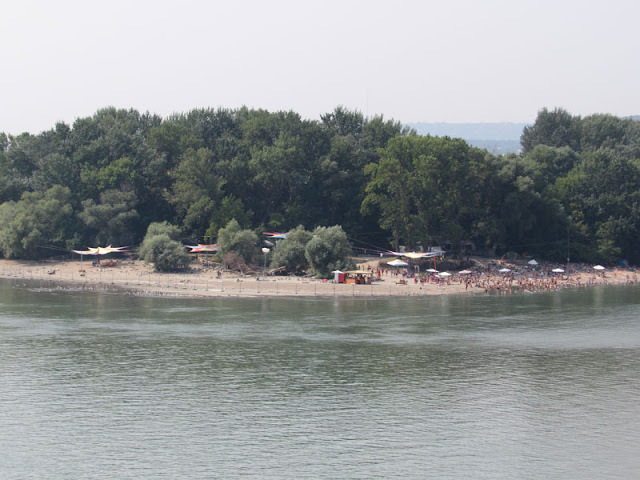 Wirker Károly: Süttő, Sandbanks near Madár Island 2015.08.11. Sziget festival, Óbudai Island northern side 2015.08.13.